The Text Book Finder App is designed and developed to find new, used, rental and eTextbook at one platform. 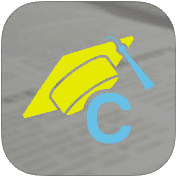 The Mobile Apps are aimed to save money and time of reader and students. This Mobile App scour the internet to help student find their books at cheap price on stores in the city. Simpalm was hired by CheapestTextBook to develop native iOS and Android Apps. We have developed the app with faster and user friendly interface. Both apps are available at App Store and Google Play Store. 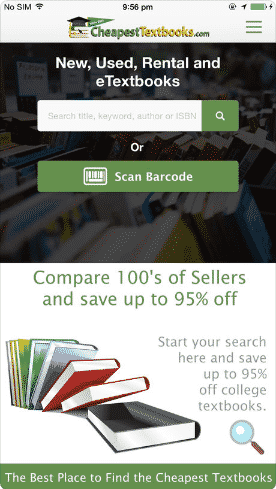 Easily scan barcode printed or type in a search phrase and App will locate user to a book store who is selling it for a cheap price. 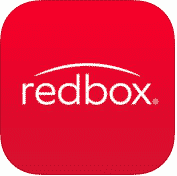 Easy access to books categories: new, used, quarter rental, semester rental, session rental, ebook and buyback price. 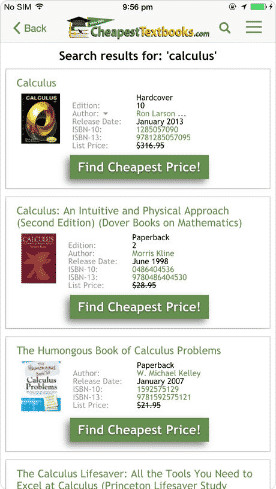 Compare books from stores and view the price, condition (new books, used books and rental books), free shipping offers and other money saving options like coupons with # discount. 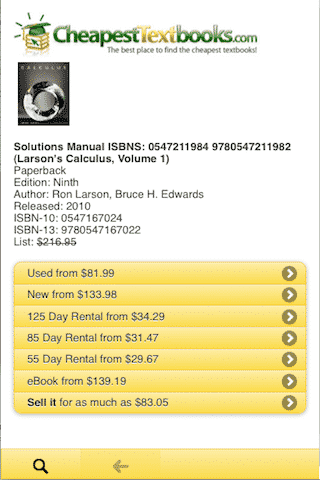 User can view book details, photos, price and rating in search results. Client wanted to develop a complete solution to find new, old and rental books at single platform. 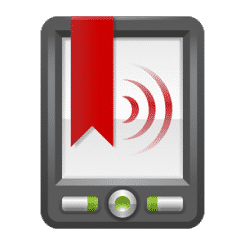 The Mobile App should have an ability to quickly scour the internet and provide results in few seconds with cheapest price and author. We had to develop a robust algorithm and search engine to provide appropriate results. The Mobile App has intuitive and user friendly interface to search and display cheapest books from internet. The Mobile App also provide comparison to save money and time of user. 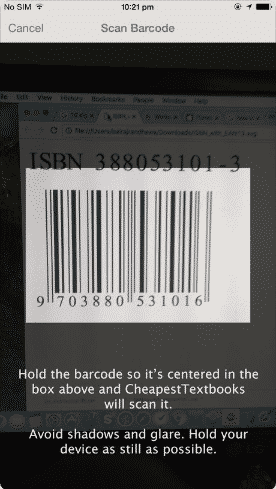 The Mobile App has Barcode Scanning, Book Search, Book Comparison, Books Categories and several other capabilities.